It doesn’t take much time on Facebook to realize how much people love animals. Have you had your daily dose of adorable kittens and talented terriers? 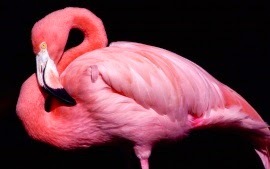 Most people respond favorably to images of the non-scary animals like domestic cats, dogs, rabbits, horse, chickens and some exotic animals. 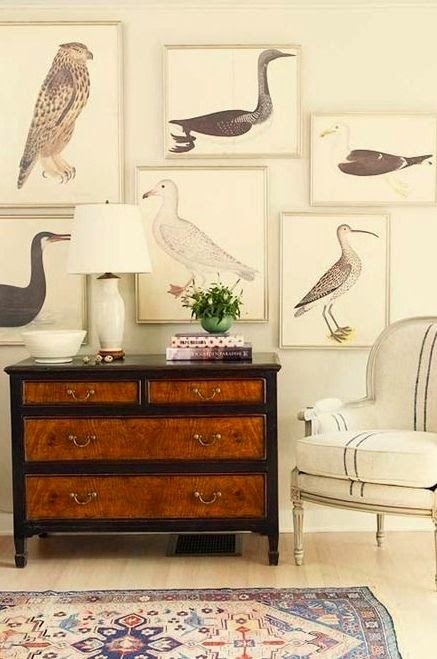 You can tap into this warm and fuzzy feeling by including some animal art when you stage your home. 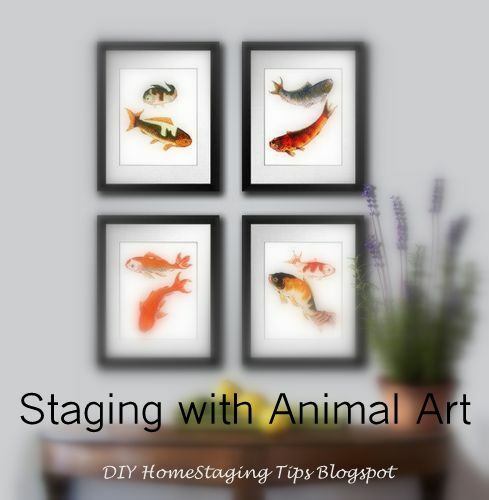 I have blogged about the why and how of using animal images for staging, and I gave examples in that post of what to avoid. Animal art can get a little tricky. You want to avoid anything too schmaltzy-sentimental or anything that looks scary. 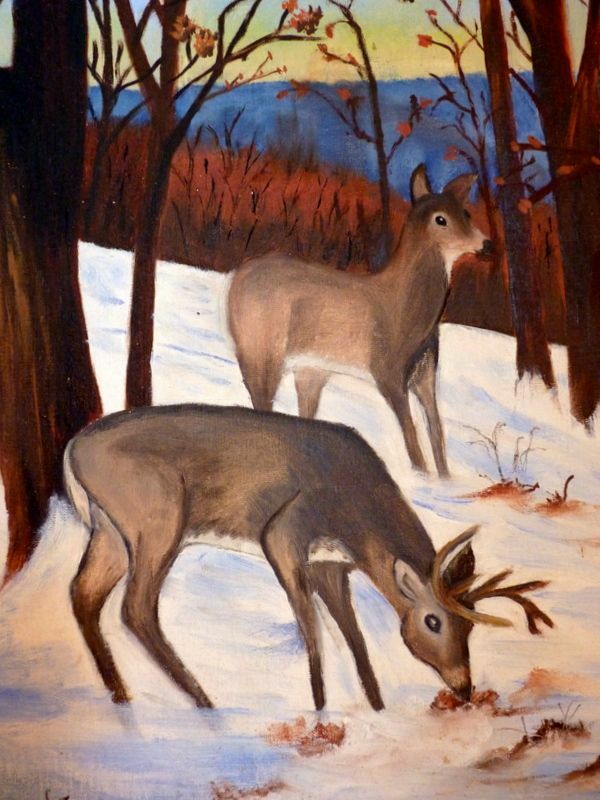 If you're shopping for animal art that helps your staging, stay away from discount stores and the taxidermy shop and you'll be okay. 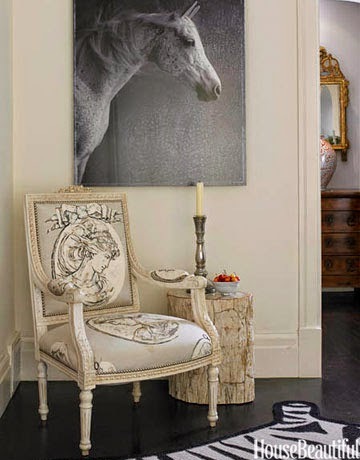 Here are some examples of animal art that could add good staging style to a house. Horses are always classy. This black and white image is a winner. 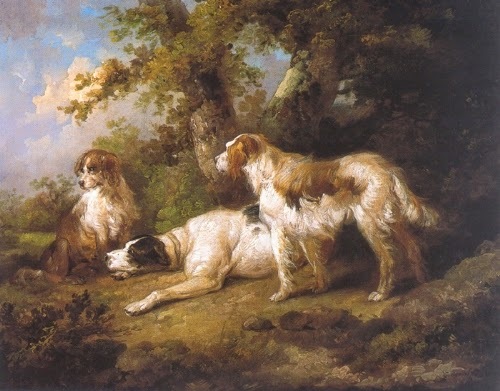 dogs painted in the English style, to the hunt or at rest like these. 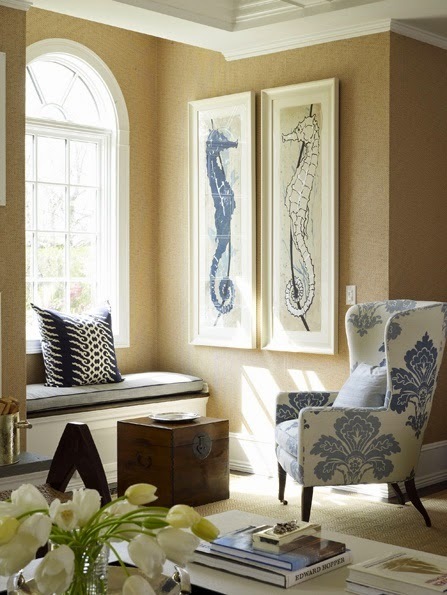 are favorites, especially if your home has a tropical or coastal vibe. HDWallpapers. same amount of visual weight. You're always safe with bird prints. alcove with cozy charm? Roughan Interiors. For much more advice on home staging, be sure to download your copy of my $4.99 eBook, DIY Home Staging Tips to Sell Your Home Fast and for Top Dollar. I guarantee you'll be 100% satisfied, or I will give you your money back.